I don't know about you but a big trend last year in crochet was Yarn Pooling! Did you try it? I know I did and failed. Trying to find the right yarn, formulas and such wasn't easy on my own. Of course I didn't do a lot of research at first and was just grabbing variegated yarn I had on hand and just hoping it would magically happen. It didn't. I now have perfect solution and resource! This new book has 32 pages of wonderful information on Yarn Pooling. Marly walks you through how too do this! 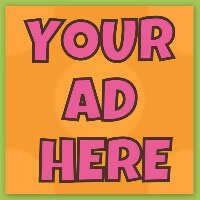 You can actually have access to Marly's video's and Blog via Youtube any time! crochet terms, symbols, abbreviations and a few pictorial walk throughs of a few more intricate stitches. I love it when books include the exact yarn used. I find this very helpful especially in yarn pooling. As Marly is Red HeartYarns National Spokesperson as yarns used are Red Heart Brand. I was really impressed with the variety of patterns. It was hard for me to choose one to make. I started with the Full Scarf, but I didn't just want a basic scarf and I messed up at the beginning so I pulled it out. I was drawn to the child's sweater but I didn't have enough yarn. So, I decided I would Make the Car Seat Cover just a smaller version of it. I crochet for my daughters dolls a lot and thought it would make a cute mini babydoll blanket. I just happened to have a Skien of Red Heart Super Saver #906 Ocean. This was used for the scarf pictured above in the banner. I worked up a small rectangle using the yarn pooling method from the book and guess what it worked out!! Isn't this gorgeous. What I really loved was the border. 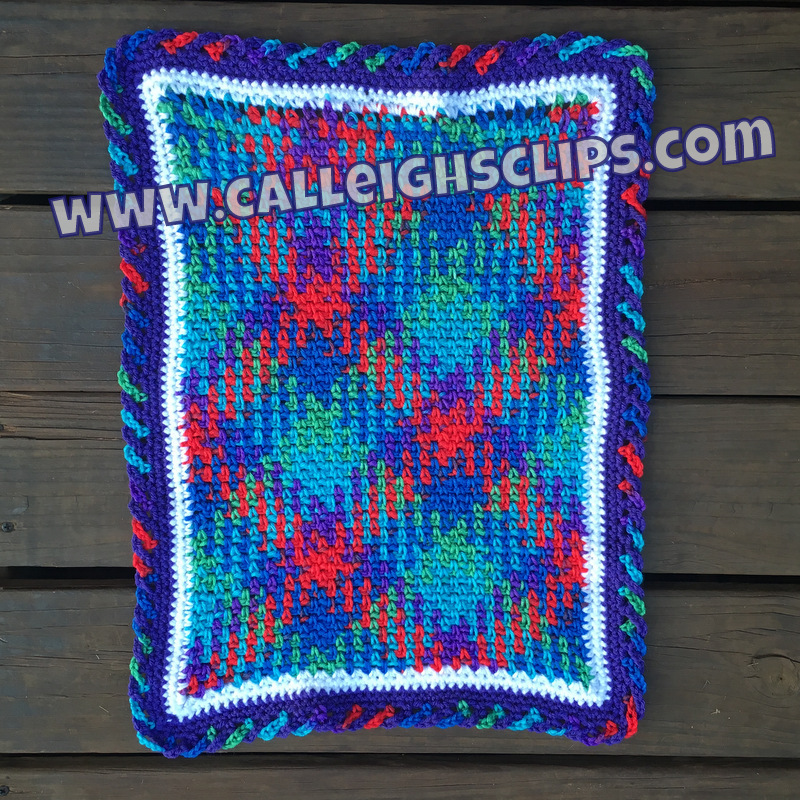 It called for two contrasting colors but I went with a matching purple and the same variegated in the center and it made another lovely colorful border effect. I really love the way it turned out and my Daughter did too. So, if you were scared of yarn pooling. Marly Bird and this book will help you through it! I have to say personally. I've taken classes and followed Marly Bird for Years! She is an amazing women and you will learn so much from her! I can't say enough great things! Even if Yarn pooling isn't for you, You have to check out all her amazing designs and youtube tutorials. You will want to get your hands on this book! I'm hosting a Giveaway to win a copy of this book! Oh and there is more! Be Sure to Follow Marly Bird's Youtube channel! She is going to be having daily giveaways during this tour too for more than just the book!!! Be sure to follow along on the rest of the Blog Tour too!! Here is the schedule for you! 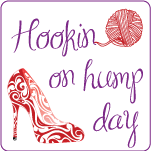 Calleigh's Clips & Crochet Creations September 5, 2017 - That's me! Thanks so much to Marly Bird and Leisure Arts for providing a copy of the book to me for review. This post does contain affiliate links which I may be compensated for when you make a purchase, however the review is my honest, un-biased opinion. Yes, I have tried planned pooling. Thanks to the planned pooling page on FB. Lots of frustration so I watched Marly's videos for guidance. I got it to work then stopped. This book will get more motivated to do more. I tried with Zebra (no luck) and Wildflower (some luck) but found it too difficult having to change hook sizes or frog and re-stitch, while changing tension. Too frustrating for me! Yes, I have tried Yarn Pooling before. I only made a scarf though. I would like to try and learn making more. 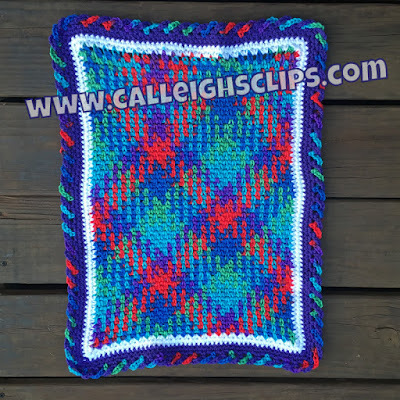 I have not tried planned pooling yet, but love the look and would love to challenge myself and learn how! 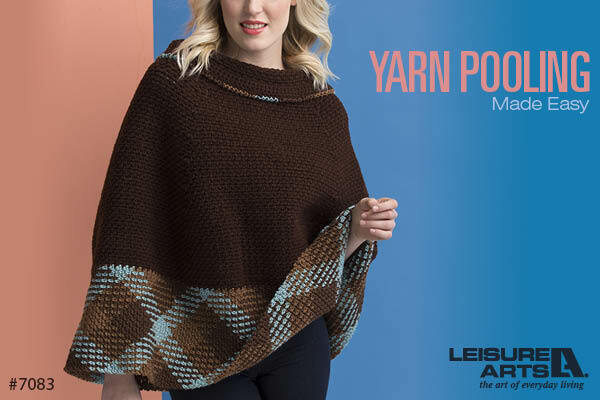 I haven't tried planned pooling, but it sounds like something I would love to have a go at. This might be exactly what I've been waiting for! Haven't tries pooling yet, but i love the argyle look and I'm super excited to get some yarn and try it out!! Yes I have tried but it didn't go well but I would love to learn the secret behind it. I love planned pooling!! It is really fun and easy thanks to Marly Bird!! Yarn pooling seems so interesting! I can't wait to get going on it for Christmas gifts! I have not dared to try it yet! 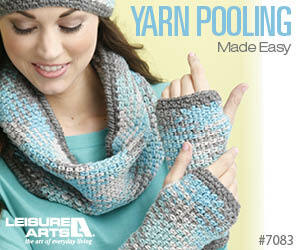 I have not tried yarn pooling, thanks for informative review, chance to win!